Naresh Mahtani has been in legal practice for 30 years, with local, regional and international experience in commercial transactions, construction, engineering and infrastructure projects work, oil and gas construction projects, dispute resolution, as well as conducting defences in criminal and domestic cases. He has been appointed as Arbitrator and Arbitration Counsel in major construction and international arbitrations involving construction and commercial disputes in the building & construction industry and oil & gas industry in Singapore, Indonesia, Malaysia and United States of America. He is a Fellow of the Singapore Institute of Arbitrators and the Chartered Institute of Arbitrators, as well as an Arbitrator on the panel of arbitrators of various arbitral institutions. As an accredited Adjudicator with the Singapore Mediation Centre, he has been appointed as adjudicator in substantial construction adjudications. He has written and presented many articles and papers on subjects concerning contracts, dispute resolution, construction law and the legal profession. Naresh has been named as a Leading Lawyer in the field of Dispute Resolution in AsiaLaw Leading Lawyers (2004 and 2005 editions) as well as for Construction Practice in AsiaLaw Leading Lawyers (2005, 2006 and 2009 editions). 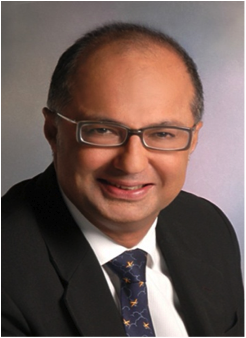 Over the past 3 decades, he has practiced in various capacities, including Managing Partner of ATMD in 1998-1999; Senior Partner at ATMD from 1994 to 1999 and Chief Executive Officer of the Law Society of Singapore in 2000 and 2001. He currently practises as advisor and counsel in civil, construction, commercial and criminal cases; as arbitrator, adjudicator and mediator for disputes; as well as advisor for projects in the region.